ASF: How long have you lived in Austin? Where are you originally from? Ashley: I came to Austin in 2002 to attend the University of Texas at Austin, and like everyone else, I fell in love with the city and decided to stay. I’m originally from McAllen, Texas. Ashley: I don’t have any children of my own. I have been blessed with a love for other people’s children. I’ve been babysitting since I was 12-years old and was a nanny throughout college. Even when I was working crazy hours as a CPA, I still volunteered in the nursery at my church and babysat in my free time to get my "kid-fix." ASF: When did you open Ashley's Playhouse? Why did you decide to open a drop-in childcare center? Ashley: I always knew I wanted to combine my business-sense with my love for children, so when I heard about the drop-in childcare concept, I knew immediately it was what I wanted to do. I left my accounting job in early 2013 to focus on my business plan, go back to school for early childhood development classes and start looking for locations. Ashley’s Playhouse officially opened in February 2014. ASF: What is your favorite part of running your own company? What is the biggest challenge? Ashley: My favorite part of owning my own company is having the privilege to be involved in so many families’ lives. Parents are trusting us with their most precious possession and there is no better feeling than when a kid leaves happy and is begging their parents to return the next day. It makes both me and the parents feel great. In addition, I love that I’ve had the opportunity to create jobs for so many people. However, staffing the daycare is my biggest challenge since we are open from 7 a.m.-10 p.m. (midnight on Fri/Sat), are open on weekends and have to coordinate 25 caregivers’ schedules that are constantly changing with school schedules and bringing on new people. ASF: What are some features of your business that you’d like the public to know about? Ashley: Ashley’s Playhouse is a drop-in childcare center for children ages 6 weeks to 12 years old. 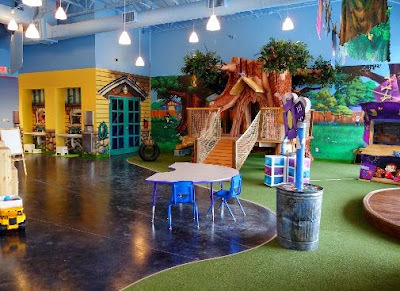 Our magical facility, complete with a two-story treehouse, acting stage, cinema room and outdoor play area, along with our loving staff and convenient hours, makes it a place both kids and parents love. Earlier this year, we started after-school pick-up from four nearby elementary schools, which has been perfect for parents who need the occasional hand with after-school care. On Sundays we are closed except for birthday parties, which are always a hit as the kids have a blast and parents get to go home to a clean house. ASF: What is your favorite summertime activity? Ashley: Last year at the daycare we offered Wet & Wild Wednesdays, with splash tables, wacky sprinklers and popsicle snacks, which was so much fun that we are bringing Wet & Wild Wednesdays back again this year! In addition, this summer we are adding our “Out and About” Summer Series for our school-age kids that involves fun field trips such as trips to the Austin Aquarium, picnics in the park, and touring the Inner Space Cavern in Georgetown to name a few. ASF: What do you like to do in Austin when you have a day off? Ashley: My schedule can be pretty crazy just because of the hours we have at the daycare, but I try and get in a run at Town Lake most mornings—it’s one of my favorite things to do in Austin. On my days off you can find me at Alamo Drafthouse watching the latest kid’s movie or trying out a new restaurant. 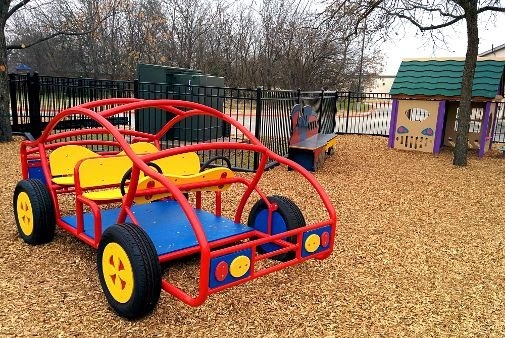 Ashley's Playhouse is giving a FREE Toy to kids who complete at least four items on the Summer Fun Checklist for Kids!